The most certain climate prediction is that newsworthy articles will always be “worse than we thought”. Reported on briefly a few days ago on Aljaz tv. Russia hoping to capitalise on shrinking & thinning northern sea ice. Mind you, the reporter noted he is likely just playing poltics (& economics & diplomatics). From what I have been reading It seems that the Bering Sea has changed from a stratified polar ocean to one that maintains an over turning circulation like most oceanic waters. What this change does to the arctic has yet to be discovered. One would expect it to result in more warm water entering the Arctic via the Bering straight reducing sea ice formation. 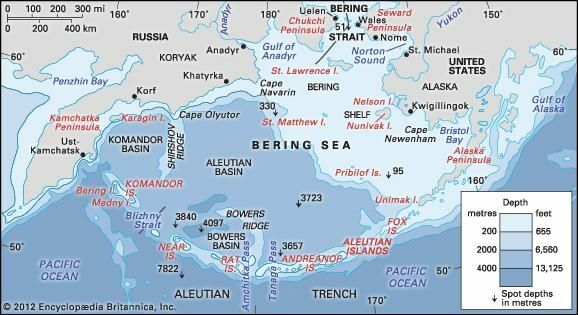 Whatever happens the result of this change will effect the ecology of the Bering sea severely. Deadliness catch may be interesting for the next couple of years as they discover the results on their fishery. Its not even the Arctic Ocean. 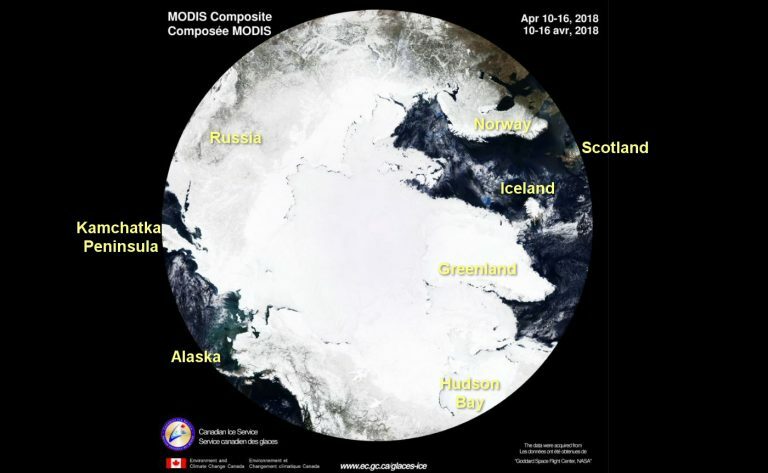 Why is it even counted as part of the Arctic sea ice. This was this time last year view from NP showing the extent of the snow/ ice. Climate is changing – so what! But does the change mean man is causing it and does it mean I should pay more tax? If you’re a leftie the answers to my questions are Yes and DAMN YES! The Earths climate has always change and changed dramatically in the past – hell six thousand years ago things were quite different… the Sahara was what? Yip it was a verdant green savanah! So things shift radical and mother nature does what she does. The case for man being the Prime cause of global climate change is unproven and frankly is quite wildly stated… how many of the IPCC predictions from 1990 have proven accurate? The climate will change – we should do what our ancestors did – adapt and thrive…. Not as amusing as I find people who deny reality because it upsets their ideology . It is us… we have increased CO2 A green house gas by 40% in the atmosphere. If you think other wise you are as idiotic as a flat earther . As to your silly logic fail . Its same as shooting some one then claiming it was not you because people die all the time from natural causes. Sounds too dumb to try as a defense in court ,,,,EH. Just as dumb as you read to me. The earths great extinction events were caused by rising levels of CO2. I doupt we will get that far because old ignorant right wing whacks will all die off long before then. 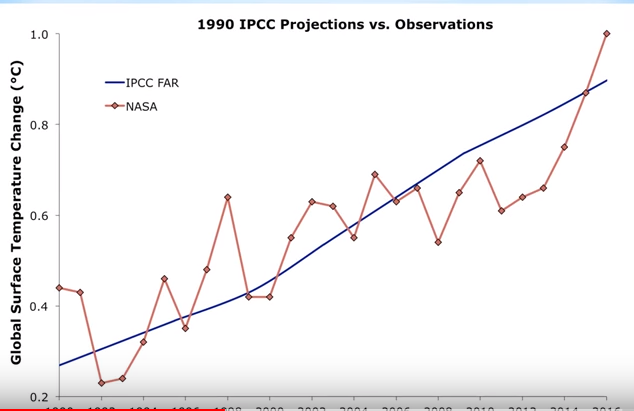 yip The IPCC from 1990 did not do to well in its projections. They did nail the temperatures .